Oprah Winfrey was born on 29 January, 1954 in Kosciusko, Mississippi. Orpah Gail Winfrey is another name of Oprah Winfrey. Oprah Winfrey was awarded the presidential Medal of Freedom by President Barack Obama and honorary doctorate degrees from Harvard and Duke. 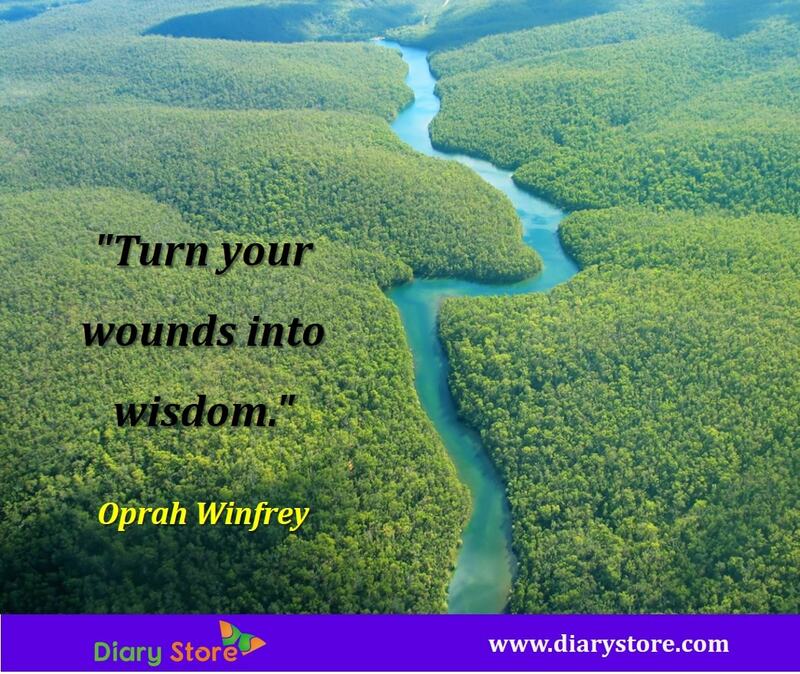 Oprah Winfrey is an American media proprietress, actress, talk show host, producer and philanthropist. Oprah Winfrey is best known for her talk show “The Oprah Winfrey Show”, which was the highest rated television program. Dubbed the “Queen of All Media”, she has been ranked the richest African-American, North America’s first multi billionaire black person and the greatest black philanthropist in American history. Oprah Winfrey was born in Kosciusko, Mississippi, United States. Oprah’s mother is Vernita lee and biological father is Vernon Winfrey. Her unmarried parents were separated after she was born and left her on a farm with her grandmother. At the age of two and a half years old, she started learn to read under the guidance of her maternal grandmother. When Winfrey moved to Milwaukee, Wisconsin with her mother, at age six, Winfrey was molested by one of her cousins, uncle and a family friend. At the age of 13, after suffering years of abuse, her mother then sent her to her father in Nashville. At the age of 14, she became pregnant but her son died shortly after birth. She promised herself to change and live a good life. Oprah began going to Lincoln High school, after early success in the Upward Bound program, she was transferred to the Nicolet High school. At the age of 19, she started first job as a reporter on a radio station in Nashville. Immediately after she started the job, she was joined to Tennessee State University to further her profession in radio and television broadcasting. Oprah Winfrey won Miss Black Nashville and Tennessee in her first year in Tennessee state university. In 1978, Oprah Winfrey was able to host a TV show tagged “people are talking” in Baltimore. She won an Academy award for Steven Spielberg film due to her successful leading. In 1986 Oprah Winfrey started her show called Oprah Winfrey show. Oprah Winfrey established the Oprah Winfrey Leadership Academy for Girls in Henley on Klip south of Johannesburg, South Africa. Winfrey has co-authored books. At the announcement of a weight loss book in 2005, Autobiography of former U.S. President Bill Clinton, her memoir, The Life You Want, is scheduled for publication in 2017. O at Home and O, The Oprah Magazine are Winfrey’s published magazines. Stedman Graham has been Oprah’s long-time love since 1986. In 1992, they were engaged to marry but the ceremony never happened. and most influential black person of the previous quarter-century in 2007. Ladies Home Journal also ranked Winfrey number one in their list of the most powerful women in America. Winfrey became the first woman and first African American to top Entertainment Weekly's list of the 101 most powerful people in the entertainment industry in 1998. Forbes named her the world's most powerful celebrity in 2005, 2007, 2008, 2010, and 2013. In 2008 she was named the most powerful woman in entertainment by The Hollywood Reporter. In 2014 she has also been listed as one of the most powerful 100 women in the world by Forbes, ranking fourteenth. In 1989, she was accepted into the NAACP Image Award Hall of Fame. "You've got to follow your passion. You've got to figure out what it is you love--who you really are. And have the courage to do that. I believe that the only courage anybody ever needs is the courage to follow your own dreams." "I've met a lot of people in my life, but I've never met anyone like this little boy, who seemed to come from another world." "I've decided I will open the door to all books as potential Oprah's Book Club selections, ... I feel this will give the book club a whole new range of opportunities to explore the world through words." "You cannot hate other people without hating yourself"
"If all this happened to you what paradigm might you develop? How might that paradigm affect you in terms of your life from that point on? What does this tell you about Abe? There are no failures, only lessons to be learned." "I did send flowers and I did send a note"
"Even the wildest dreams have to start somewhere. Allow yourself the time and space to let your mind wander and your imagination fly." "Unless you choose to do great things with it, it makes no difference how much you are rewarded, or how much power you have"
"Think about any attachments that are depleting your emotional reserves. Consider letting them go." "After this trip I know these kids went home with happy memories to last a life time." "It's a combination of eating consciously, vigorous exercise and being comfortable in my body." "Matthew's search for stories of people that he could help led him to an abandoned hospital in New Orleans, ... Inside were beloved pets that families had been forced to leave behind during this evacuation. One man vowed to keep them alive. And Matthew went to help him." "I think most of the people watching us around the world really don't understand the level of devastation that's going on, ... You have 11 million children in sub-Saharan Africa now suffering as orphans. ... They're AIDS orphans. What I realized is they're children left to take care of themselves." "If you come to fame not understanding who you are, it will define who you are "It's not sad for me. It's embarrassing and disappointing for me." "I do not believe in failure. It is not failure if you enjoyed the process." "You are truly messed up. You really are, ... You are truly messed up." "This is the best ice cream I've ever tasted." "Dont back down just to keep the peace. Standing up for your beliefs builds self-confidence and self-esteem." "I feel you betrayed millions of readers." "If Oprah falls into the hands of Scientology, who can tell what influence she might have on the population? The prospect is terrifying." "I feel duped. But more importantly, I feel that you betrayed millions of readers." "Every show you'll see here holds such profound meaning for me, ... I appreciate every hour our viewers spent watching us grow forward and now, through this DVD Collection, I can give back to the world by using its proceeds and the next twenty seasons of my life for what I know is my true calling -- to be of service to women, children and families in need around the world." "[Friends say the actress has almost completely recovered from the breakup of her own marriage, and shows no enmity toward her ex's new love, Angelina Jolie.] I'm not sitting somewhere dwelling on the past or obsessing about the future, ... I don't want to be anywhere other than where I am right now." "Yes, yes, yes! Yes, you do." "We shall not be moved." "I've been doing this a long time and people have made donations and they've been very kind, but no one has ever given our Angel Network $1 million." "Until we rise up in the streets and change the laws in this country, this will continue to happen and every time it will be more heinous than the next." "Want to be good neighbors." "I just want to say shame on anybody for thinking that I was upset for not being able to get into a clothes store and buy a purse, ... Please, please." "Tis all a Checker-board of Nights and days where Destiny with Men for Pieces plays: Hither and thither moves, and mates and slays, and one by one back in the Closet lays." "And you altered things about yourself."